Nothing makes us feel warmer than helping you save money. Steinel's latest special offer is going to turn up the heat even more: From now until the end of the year (12/31/13) you can save big on the HG 350 Precision Heat Gun and HG 350 Precision Heat Gun Kit. If you've been considering the purchase of a Weller WX or WD Series Soldering Station, their new "Outfit Your Workbench" promotion might just be your final motivator. 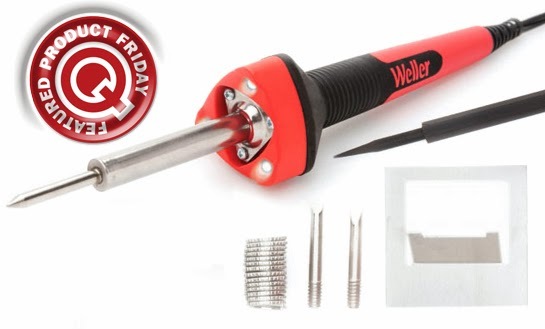 Running from now until the end of the year (12/31/13), Weller's offering a FREE compatible accessory soldering tool and stand with the purchase of any WX or WD Series Station. 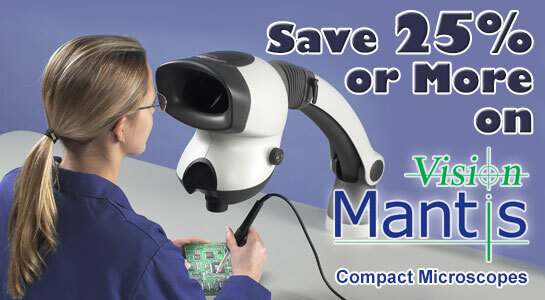 What's better news than when we told you about Vision Engineering's Mantis Compact Summer Promo Sale back in June? The news that Vision Engineering has extended their popular promo until the end of the year. This great money-saving opportunity now expires December 31, 2013. Great news! Our FREE Ground Shipping Promo has been so popular that we've decided to extend it through the end of the year (expires December 31, 2013). Shoppers can continue to use our shipfree1213 coupon code to get FREE Shipping on selected items for orders over $100. To learn more about any of these offers please visit QSource.com. You may also contact us via phone (800-966-6020) or email. There you have it…another quick look at a few of last week’s most interesting social media posts. We hope you enjoyed this week’s Social Rewind. We’d love it if you shared other interesting blog posts with us. Keep on reading! Hope you all had a happy and joyous holiday season and with wish you a very Happy New Year! See you next week! Save 12% off the MSRP on the Brady M71C-2000-595-WT B-595 BMP71 Indoor/Outdoor White Vinyl Tape 2" x 50' Roll when you use our FPF122713 Coupon Code. This Featured Product Friday promo is valid from today, December 27, 2013 through Sunday, December 29, 2013. The Brady M71C-2000-595-WT (Q Source SKU: B001-004508), for use with Brady's BMP71 Portable Thermal Transfer Label Printer, is regularly listed at $101.94, but with our FPF code you’ll get it for just $89.99. While this is a 3-day limited-time price, the coupon is unlimited. Use the code as many times as you like while it is valid— and please feel free to share the code with your friends & colleagues, too. Please note: This promo is valid only at QSource.com. Each week, we'll promote our Featured Product Friday selection on The Q Source Resource, via our email newsletter, and all over our social media accounts. We encourage our valued customers to read those resources and to visit QSource.com on a regular basis for the latest FPF offers (look out for our FPF logo). Please tell your friends & colleagues about Featured Product Friday. According to recent information provided to us, Akro-Mils will resume shipping after January 14, 2014. Please stay tuned to our blog or contact us for further information. Akro-Mils has informed us that they will not be shipping any further products until after the holidays. Shipments should resume soon after January 1st, 2014. Please contact us for further information or suggestions on how to meet your Akro-Mils storage and material handling needs. Our Akro-Mils Department at QSource.com is available 24/7. We can also be reached by phone (800-966-6020) or email. There you have it…another quick look at a few of last week’s most interesting social media posts. We hope you enjoyed this week’s Social Rewind. We’d love it if you shared other interesting blog posts with us. Keep on reading! We also wanted to take a second to wish those of you celebrating Christmas a very Merry and Happy Holiday. See you next week! Great news! Our FREE Ground Shipping promo has been so popular that we've decided to extend it through the end of the year (expires December 31, 2013). 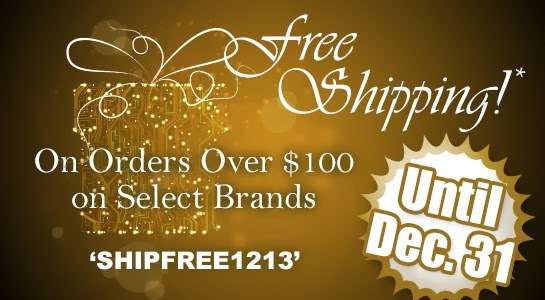 Shoppers can continue to use our shipfree1213 coupon code to get FREE Shipping on selected items* for orders over $100. Selected brands include: Daylight, Erem, Excelta, Hakko, Lindstrom, PanaVise, Plato, Weller, Xcelite, and Xuron. 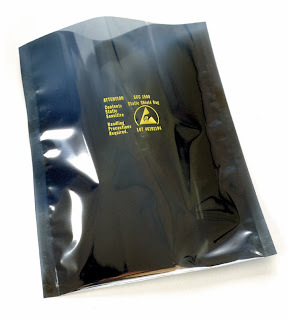 Q Source cannot guarantee delivery by Christmas for orders using FREE SHIPPING. Visit our FREE SHIPPING page for more information or give us a call at 800-966-6020 (we can also be reached by email). And remember, when completing your order at Checkout, you must enter the shipfree1213 code to get the FREE Shipping savings. Save 15% off the MSRP on Weller's SP25NKUS High-Performance Standard-Duty LED Soldering Iron Kit when you use our FPF122013 Coupon Code. This Featured Product Friday promo is valid from today, December 20, 2013 through Sunday, December 22, 2013. The Weller SP25NKUS (Q Source SKU: C010-000837) is regularly listed at $19.99, but with our FPF code you'll get it for just $16.99. While this is a 3-day limited-time price, the coupon is unlimited. Use the code as many times as you like while it is valid — and please feel free to share the code with your friends & colleagues, too. Please note: This promo is valid only at QSource.com. 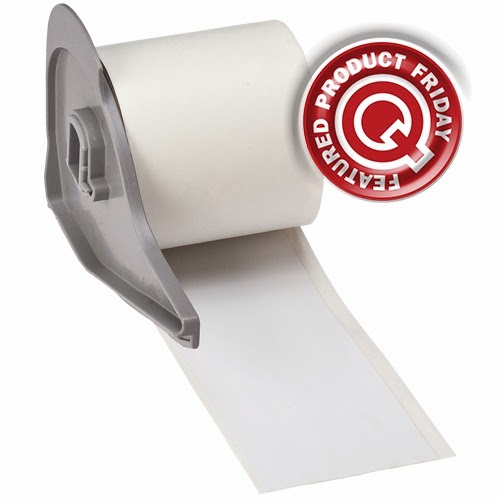 We're excited to announce our new weekly Web promo: Featured Product Friday (FPF). FPF will offer significant savings on a new, popular, or best-selling product every Friday. The promo will debut tomorrow, December 20, 2013, with a 15% discount* on Weller's new SP25NKUS High-Performance Standard-Duty LED Soldering Iron Kit. To claim the Featured Product Friday pricing, customers only need to enter the FPF Coupon Code at checkout (for example, tomorrow's code will be FPF122013). The FPF code is valid beginning the Friday of that week's promo through that weekend (e.g., this week's promo will be valid tomorrow, Saturday & Sunday – 12/20 to 12/22). The FPF coupon code is unlimited. Customers may use it as many times as they want for as long as that coupon is valid. When that week's promo expires, so does the FPF code. Please note: This promo is valid only at QSource.com. Each week's Featured Product Friday promo will be announced via our blog, email newsletter, and social media. We encourage our valued customers to check out those resources and to visit QSource.com on a regular basis for the latest FPF offers (look out for our FPF logo). We also encourage sharing of the FPF Coupon Code—we want a wide audience to be able to take advantage of these special savings—let your friends and colleagues know! For further questions about Featured Product Friday, please visit our Web site, call us (800-966-6020), or send us an email and one of our experts will be happy to help you. Remember, Featured Product Friday starts TOMORROW! * Discount is off MSRP. QSource.com’s Free Ground Shipping promo ends this Friday, December 20, 2013. Don’t miss your chance to save shipping costs on select brands for orders over $100 when you use our shipfree1213 coupon code. This limited-time offer applies to products* from these top brands: Daylight, Erem, Excelta, Hakko, Lindstrom, PanaVise, Plato, Weller, Xcelite, Xuron. Shop for hand tools, soldering/desoldering products, and lighting solutions at our regular discounted prices AND get Free Shipping for the next four days. Q Source also cannot guarantee delivery by Christmas for orders using FREE SHIPPING. 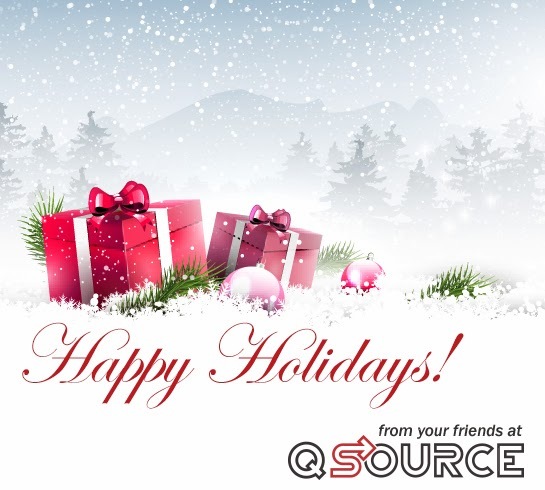 As a holiday gift to you, our valued customers, QSource.com is offering FREE GROUND SHIPPING on orders over $100 on select brands. All you need to do is enter the coupon code "shipfree1213" at checkout to receive this significant savings (read on for further info and restrictions). This limited-time offer starts today (Saturday, December 14, 2013) and runs to Friday, December 20, 2013. Just visit our site and shop as you normally would and at checkout enter the shipfree1213 code to claim your savings on shipping. 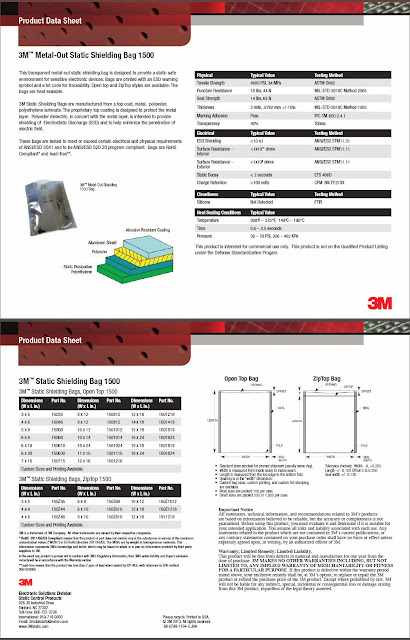 Please Note: Our FREE SHIPPING offer excludes bar solder, shelving, floor & table matting; bins, workbenches & furniture, any other extraordinarily heavy or oversized items, and any items displaying the heavy freight icon: Q Source also cannot guarantee delivery by Christmas for orders using FREE SHIPPING. Check out our FREE SHIPPING promo page for further details or contact us via phone (800-966-6020) or email. One of our helpful staff members will be happy to answer your questions. Happy Holiday! 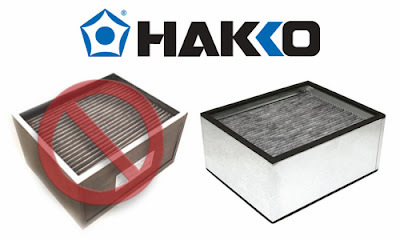 Hakko announced that the 999-182 Carbon/Odor Filter for use with the discontinued HJ3100 Fume Extractor has also been discontinued. The replacement carbon/odor filter is the 999-245, which is used with the Hakko FA-430 Fume Extraction System. The Hakko 999-182 and 999-245 offer equivalent performance specifications and using the 999-245 with the HJ3100 will have no negative impact. However, the Hakko 999-245 Carbon/Odor Filter has a smaller, more compact frame. 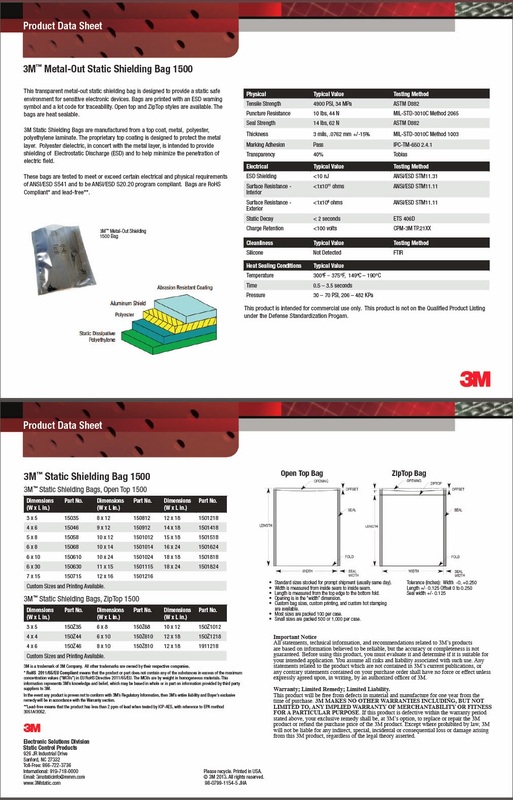 A Filter Adapter Frame (999-241) is required to use the 999-245 with the HJ3100. The Frame Adapter is reusable does not need to be replaced after installation. Refer to our previous Q Source Resource articles for further info about the Hakko 999-245, FA-430, and HJ3100. For more information about Hakko products, or to place an order, please visit the Hakko Department at QSource.com. You may also contact us via phone (800-966-6020) or email. If there's a specific product or topic that you'd like to see The Q Source Resource cover please let us know. We'd also appreciate if you would share this blog post with your friends and colleagues via Twitter, Facebook, or Google+ (see the links below). If you have questions or comments about the Hakko 999-182 and 999-245 please leave us a message in the comments section. That’s it for this time. Another quick look at a few of last week’s most interesting social media posts. We hope you enjoyed this week’s Social Rewind and had a wonderful Thanksgiving holiday. We’d love it if you shared other interesting blog posts with us. See you next week! Oh, and don’t forget that today is Cyber Monday. Thanks for reading! 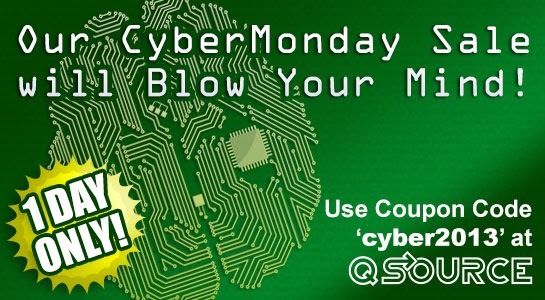 If you thought the Thanksgiving football games and Black Friday shopping were exciting, just wait until you head over to QSource.com today for our mind-blowing Cyber Monday Sale. We're talking about site-wide savings on thousands of items, from dozens of manufacturers in 15 categories. When your cart is full, and you're ready to checkout, just enter our cyber2013 coupon code and you'll SAVE 10% OFF YOUR ENTIRE ORDER. Our Cyber Monday coupon code is valid today (December 2, 2013) only at QSource.com. But there's no limit to how much you can save off our already discounted prices. Help us spread the word about this great chance to save by telling your friends, co-workers, and social media contacts. For questions about products, QSource.com, or our Cyber Monday Sale please visit our Contact Us page, call us (800-966-6020), or send us an email. For other questions about shopping at QSource.com (shipping info, returns, order status) please visit our Customer Service page.